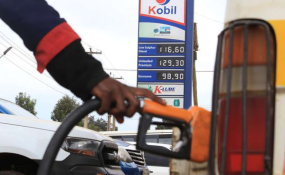 Nairobi — More than 150 Members of Parliament who are opposed to implementation of the 16 per cent VAT on petroleum products have resolved to form a 20-member caucus to come up with other avenues to fund the government's Sh3 trillion budget. Speaking after the group's informal meeting at Parliament buildings, Nandi Hills MP Alfred Keter said the team will propose legislative scenarios in the event President Uhuru Kenyatta fails to assent to the now contentious Finance Bill 2018. "There are many financial issues that we need to address and legislation, if there is any gap in law we will need to propose amendments which is in line with our long-term and short-term solutions." "We need to have a strategy that is even beyond the President assenting or not assenting (to the Bill). If the President signs what do we do because again we will have a two-year window to put up legislation to ensure that this thing does not raise up again in 2020," he explained. The Bill provides for extension of the 16pc proposal by two years. Keter said the 20-member team will propose legislation on the recovery of stolen public funds and ending wastage of resources in government systems. "What we have realized is that this window is not even enough to expect the oil in Turkana that we expect we will produce within the two-year window. But we do legislation and come up with further measures to check on our wastages. Because the concern and the intervention of the IMF and World Bank, was not just to tax Kenyans further it was a question to do with we can't sustain our budget," he told Capital FM News.